We provide a large range of standard workshops as well as 90+ topic modules which you can mix and match for in-house trainings for businesses and managers that want to improve their project management skills or their team skills. We also provide public courses that gather managers and team members from different companies in a safe and friendly environment. VIRAK offers the well-known and successful preparation courses for the PMP® and CAPM® certifications of the Project Management Institute (PMI)®. We are PMI® Registered Education Providers. We ensure that the course content clearly targets the needs of the participants, that they learn quickly and are ready to apply their new knowledge and self-awareness as soon as they are back in the work environment. We believe that if participants are enjoying themselves, are interacting and are actively participating, then they will be much more likely to achieve this goal. MIX & MATCH! Browse the list of our different standard training modules, and make your own learning program! 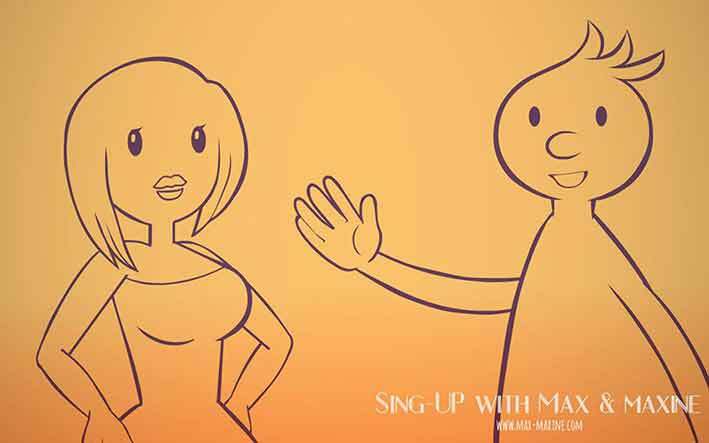 Our new App “Sing with Max and Maxine” is now available to download for free on iTunes and Google Play. See the website www.max-maxine.com for more details about this fun and interactive complete singing course. As both work activities and organisational structures change rapidly, the need for each of us to work at the peak of our effectiveness has increased. Our personal effectiveness training is a 1-day intensive, interactive workshop that helps participants analyse their current use of working time, use their time efficiently, and regain control by actively managing emails, interruptions and phone calls, whilst managing their stress levels successfully. In our December 2018 Newsletter, Christine Petersen explains why and how "soft skills" are crucial to the success of project management (and other areas). Read through this article on soft skills, or have a look to our brand new "Soft Skills for Project Managers" training! A 2-day course based on the BABOK (Business Analysis Body of Knowledge) with little theory, much hands-on practice, ensuring that participants learn how to work closely with their Business customers in order to successfully analyze, map, define and implement improvements in the business processes. We have compiled a 150 pages guide for free team building activities ideas. You can also send us an email to know more about our team building workshops! Christine Petersen has released her book The Practical Guide to Project Management online for free. Please make sure you download in order to discover a very easy overview of good practice in Project Management. Feel free to review it on your websites and blogs!